This program is designed for kids from 2 to 10 years of age and it features magic, puppets, cartooning and fun from the imagination of Theodore Seuss Geisel, known to the world as Dr. Seuss. We take lessons from The Cat in The Hat, Horton, The Sneetches and more. 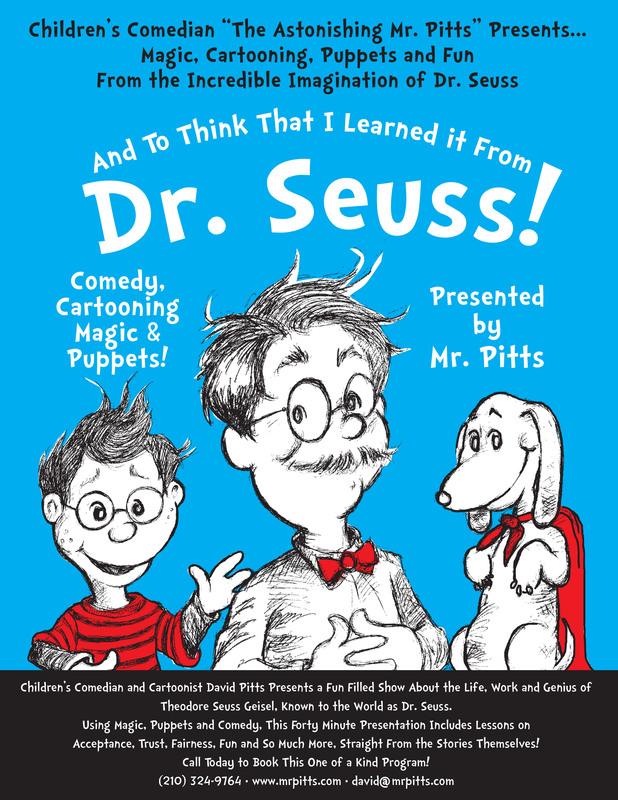 The show is 45 minutes in length and full of laughter and fun from the imagination of Dr. Seuss!